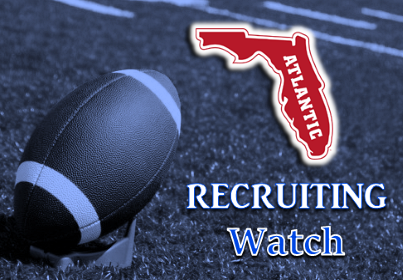 February 6th, which is marked as the traditional signing day of the 2019 cycle, is less than 48 hours away with FAU having 21 known commitments. Here's our update regarding what Owl fans might expect to happen with the final 5-7 spots FAU has to offer. JD Martin WR - 6'0 185 lbs - The three-star receiver who visited FAU back on January 12th built a strong relationship with coach Trickett and new receivers coach McCarthy. Martin was planning on visiting Louisville this past weekend, but it has not reported he ever made it to their campus. With it being FAU was his only official this month, a commitment is looking strong. Tye Edwards RB/OLB - 6-3 212 lbs - Edwards was heavily recruited as an OLB, but few teams are giving him the chance to play running back where it has been reported is his preferred position. With his only visit in January being at FAU this looks like another quality player the Owls can add to the class. Glover Cook lll RB - 6-3 180 lbs - Cook's visit came as a surprise due to the fact many industry experts predicted he would be a Jayhawk and that FAU had spent some their time recruiting Cook's backfield counterpart, Kimo Clark. This is also another case where there are no other reported January visits which is a good sign for the Owls. Jordan Jefferson DT- 6-4, 270 lbs - His recruitment picked up heavily after in January with late offers West Virginia and Louisville. Jefferson announced via twitter FAU at part of his top four, but this one seems like a long shot for Coach Kiffin. Tahvon Nicholson ATH - 5-11, 170 lbs - As I reported before his visit the Duval native has many strong ties with current FAU players. This is looking like another C-USA flip. Adraius Tolliver OL - 6-6, 335 lbs - FAU has been working to lock up the big offensive lineman who decommitted from Troy back in the summer of 2018. Tolliver has taken recent visits to Indiana and Georgia State, but Per Jake Elman of the Palm Beach Post Coach Kiffin went on the road again last week to secure the high priority target. Brian Dillard DB -6-2, 190 lbs - Dillard committed to FIU just a week ago, but Kiffin and his staff have gone all out to flip the Lake Weir product. This one appears to be truly 50/50 at this point. Brian Merritt DT - 6-3, 200 lbs - Merritt announced on twitter that FAU is in his top two along with Liberty University. Merrit becomes a major priority with Jefferson looking like he will be going elsewhere. Kahlil and Cameron Overton WR - 6-4, 185 lbs and 6-3, 180 lbs - Both twins committed to Western Illinois on Sunday night, but FAU still remains a possibility for the twins. It appears how the other dominos fall earlier in the day will determine if the Texas twins get a chance to play for FAU.